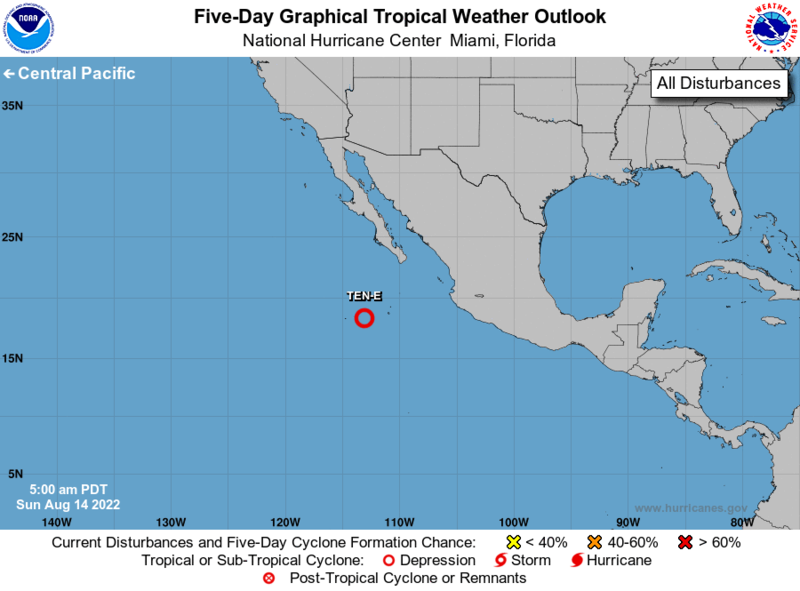 Shower activity associated with a broad low pressure system centered about 1100 miles west-southwest of the southern tip of the Baja California peninsula has become less organized since yesterday. Environmental conditions have become unfavorable and tropical or subtropical cyclone development is not anticipated. Additional information on this system can be found in High Seas Forecasts issued by the National Weather Service. This is the last Special Tropical Weather Outlook that will be issued on this system. * Formation chance through 48 hours...low...near 0 percent. * Formation chance through 5 days...low...near 0 percent. 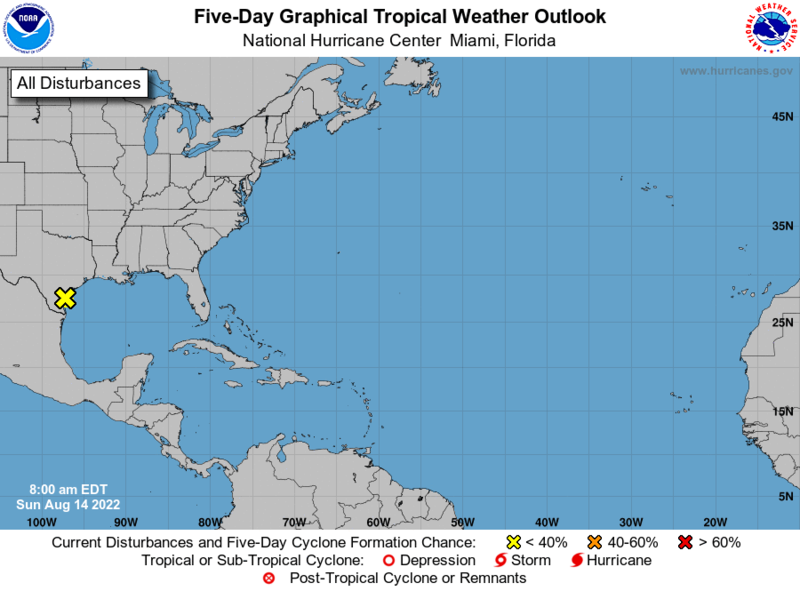 When is the Tropical Weather Outlook updated? Every day, during hurricane season, the National Hurricane Center issues tropical weather outlooks at the following Pacific and Eastern times.